This is a list of useful books for makers and enthusiasts. These are common references. Some of these books cost in the hundreds, so I’ve included WorldCat links. WorldCat will help you locate these books in libraries near you; many of these books are in reference sections or can be checked out or brought in from other libraries. I’ve included a synopsis for books I’ve reviewed/read or own. 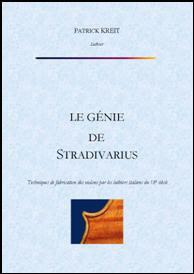 Synopsis: Arguably the most famous treatise on Stradivari. One of a series on violin makers and making families produced by the Hill firm. Includes plates of five violins, a viola and a cello. Followed up most notably by Simone F. Sacconi’ s “I segreti di Stradivari” (“The Secrets of Stradivari”) in 1979 and Stewart Pollens’ “Stradivari” in 2010. Synopsis: The go-to reference for beginners. This book is used as a text by some schools. Detailed and well illustrated, it follows a traditional method with reliance on hand tools over any machinery. Synopsis: In Chinese and English, this book has full size color photographs of 15 violins and cellos by Amati, Stradivari, Guarneri del Gesu, Stainer, the brother Amati, Rogeri, Guarneri filius Andrea, Seraphin, gagliano, and Guadagnini. Brief summaries accompany the photographs. 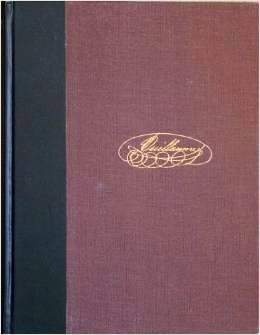 Synopsis: A reference book containing a bibliographical index of violin-related printed material. Comprehensive to 1990. Notes: V. 1. General issues concerning stringed instruments and their bows, v. 2. Stringed instruments and techniques for their conservative restoration and repair. v. 3. Bows and techniques for their conservative restoration and repair. Notes: This book contains several sections, including a brief history of Stradivarius and his violins, a physics-based description of the violin, and a review of the acoustical research of William F. Fry. Fry purports to have found a method for tuning an assembled violin through adjustments to plate thicknesses. 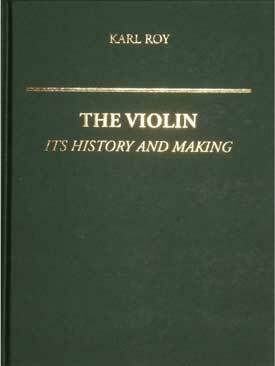 Synopsis: This is an amazing book for violin lovers. Page after page of full color photos of instruments. Not all, but quite a few include images of the scroll from front and side angles as well. 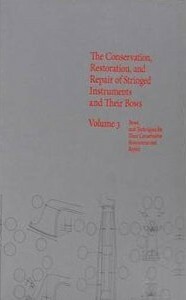 Includes brief and concise write ups of the 75 makers to introduce their instruments. There is a mammoth (4.7kg) well made tomb that could easily be passed on in a family or from maker to maker. If you love books and love violins, this is for you. A review by The Strad magazine is linked from the book’s website here. Notes: Standard Edition Limited to 3,920 editions,available online here. The Deluxe Edition with protective sleeve is limited to 320 editions, here. 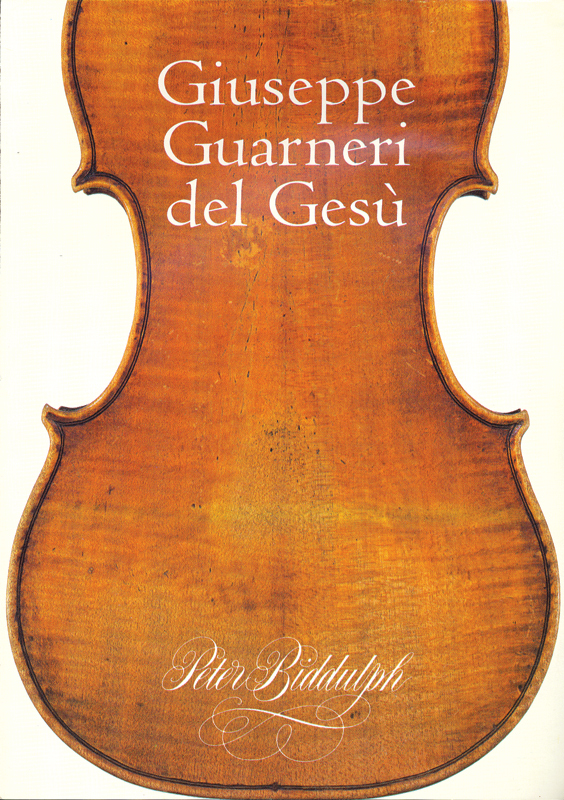 Synopsis: Considered the definitive reference for Guarneri del Gesu. 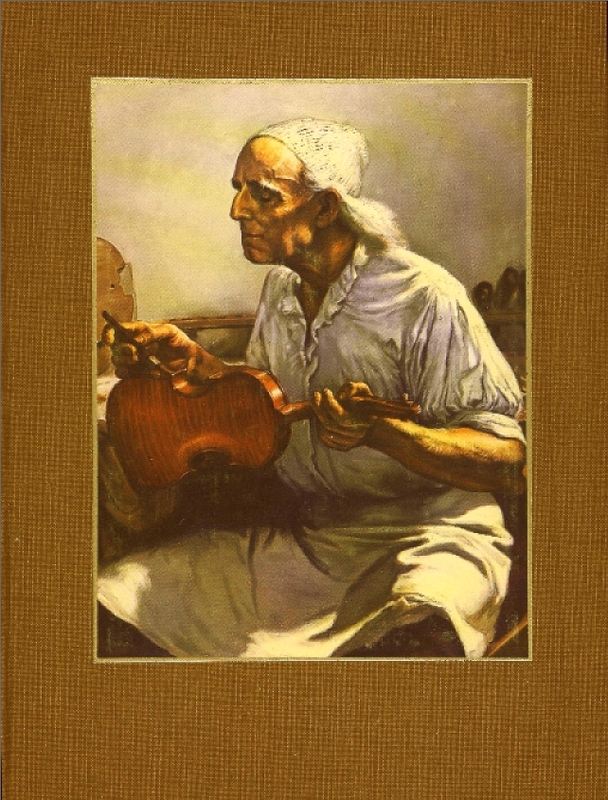 Volume 1 contains color photographs of 25 violins, Volume 2 contains biographical information, technical descriptions, measurements and drawings, as well as a review of his working methods and dendrochronology analysis of the violins. Synopsis: Contains French, English and German sections. A detailed and engaging biography of Vuillaume. No plates or pictures. Synopsis: A nicely laid out book with large pictures and detailed write ups. Not as many instruments as the ‘Four Centureies’ but does contain more actual measurements. Note: In 2004 the Catgut Acoustical Society joined the Violin Society of America. Summary: Hardcover, 264 Pages, 185 Illustrations. $$$, published by Libreria Del Convegno, 1979. 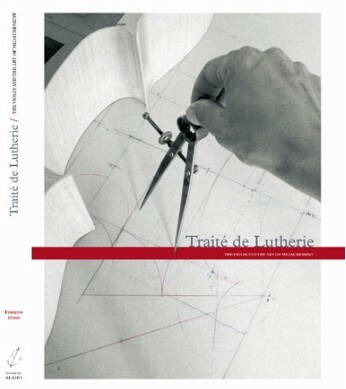 Synopsis: This is a compilation of the research done by Luthier Simone F. Sacconi (1895-1973). According to his biography, Sacconi had the opportunity to work on a large portion of the Strads in circulation. Based on his own research and experience he has hypothesised the method and techniques used by Stradivari. While the document covers everything from layout to varnishing it is not a step-by-step guide. A large part of the book and illustrations are dedicated to the inventory of artifacts held at the Cremona’s Stradivari Museum. Black & white with three color plates. This is a fascinating read for Stradivari enthusiasts and makers. Notes: Had a printing in 2007, but now sold out (Feb 2012). Synopsis: The pinnacle of Stradivari research, a modern refresh of the works by the Hill firm and Sacconi. Summary: Hardcover, 322 Pages, illustrated. $$$$. Synopsis: One of the most through and practical books on a tuning method available today. Plate tuning has been around for centuries and many theories exist as the tuning method that Stradivari and other great makers used, if indeed they used one at all. Patrick Kreit believes he has found a way to accurately reproduce the resonate tuning of Stradivari instruments. This book includes instructions on wood choice, discussions on finishing and, most significantly, step by step instructions for tuning of the major vibration modes. In French and English, the 2nd Edition of the books is underway. Summary: 256 Pages, $$$$, Aladfi 2006. Synopsis: A review of the molds used by Stradivari, including chronology and full size photos of the molds and other artifacts. Synopsis: An exhaustive collection of Stradivari instruments. Includes photographs of 400 Stradivari instruments with 1,500 views, all B&W some better than others. Synopsis: A through review of the history of the violin along with a review of methods of making, materials, tools and workshops. Plentiful illustrations and color pictures. Synopsis: The Hill firm’s volume on the Guarneri Family. Similar in scope to their work on Stradivari.